Ever since we learned that our son, Daniel, is a highly gifted individual, I have been reading up and researching about giftedness, and how to help and enhance his gifts and talents, and turn them into something extraordinary. I often go back to that one night when my college friends and I had an overnight stay at Philippine Plaza. Over chips, sodas and beer, we talked about our future and what our life would be, and the conversation turned to future partners and kids. Out of us four, I was the only one who didn’t want a gifted child. I was telling them that I think it would be hard for both the child and the parents, to raise up a child that is gifted. I kept on saying that it’ll be a lot of hard work for the parents, and the child might feel the need to belong, and that he or she might crave the normalcy that a typical child goes through. Daniel, when he was still in preschool. 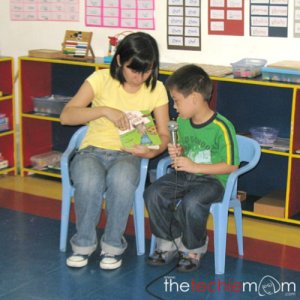 Teacher Gen asked him to read to his classmates during circle time. Our God really works in mysterious ways, because He decided to give me Daniel, someone who, at age 3, started to read on his own, who has an inexhaustible thirst for knowledge that I, for one, can’t keep up with. He took up a 12-week short course on Dino Paleo-Biology by University of Alberta last year, through the online learning site, Coursera. We had homeschooled him for 2 years (finished grades 1 and 2 in a year) before he went to a regular school. After a year in Headway School for Giftedness (the best school in the whole Philippines, as Daniel puts it 🙂 ), he became bored and was not fitting in with his peers. The school directress, M’am Luz Estudillo, seeing that he was getting bored with the pace that he’s in, recommended us to consider acceleration. We let him take the acceleration test, and the results showed that he was indeed ready for that step. And the rest was history, he was finally where he belonged. He was thriving intellectually, emotionally and most importantly, socially. The tantrums slowly diminished, he was enjoying school and spending time with his peers. He’s graduating grade 6 this coming March. 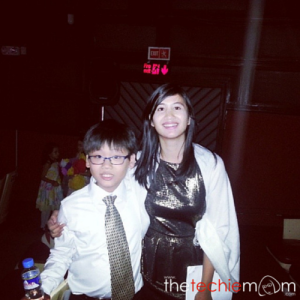 Daniel with Teacher Krisha, his mentor for Grades 5 and 6. Taken during Grade 5 moving up day. And my prediction that night, more than 15 years ago came true. As a parent, it was really a difficult road to take, and we are still on that road, finding out daily how to nurture and help him in every way that we can. We are very blessed that we found the perfect school for him, and that helped us mold him into what he is right now. But sadly, that is not the same case for the 1.27 million gifted children in the country according to data gathered by the Department of Education (DepEd) in 2010. A big number of these potentially gifted Filipinos are overlooked because of the lack of proper guidance and support. “Nurturing the potentially gifted is a shared responsibility of the family, as well as both public and private sectors, if they are to be developed maximally,” shares Dra. Letty Ho, President, Philippine Center for Gifted Education, Inc.
Giftedness is a term mostly associated with talent. While most believe the terms are synonymous and interchangeable, Professor Françoys Gagné, Ph. D, states otherwise. Considered as one of the most prominent names in the field of gifted education, Professor Gagné is the founder of the Differentiating Model of Giftedness and Talent (DMGT), a theory identified and used by international educational authorities to define their target population and plan intervention provisions. According to the DMGT, giftedness is a superior natural ability that is evident without systematic learning or teaching. Professor Gagné uses the term ‘gifted’ to designate any person who possesses a natural aptitude that placed them among the top 10% of their age group. Whereas, talent implies a mastered skill that has been developed exceptionally well. Professor Gagné claims that for gifts to translate into talents, they must be developed through a variety of catalysts. These catalysts include intrapersonal factors such as perseverance, general curiosity, intrinsic motivation, and ambition, and environmental factors like family, school, and quality of the peer group. It is not enough to have the talent – It’s how the talent is utilized to achieve greater success in a broader scale, like in ones community or even country. Improvements in economic growth are closely related to the level of cognitive skills of the population. Giftedness and talent could be a driving force for the Philippine economy to continue the steps it is taking towards becoming a progressive country. Nurturing homegrown talent can benefit the country greatly by spurring its development. 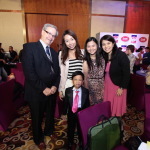 I was fortunate enough to have attended Promil Preschool’s PR launch last October 23, 2014 at Marriott Hotel and got the chance to listen to Prof. Gagné’s talk. 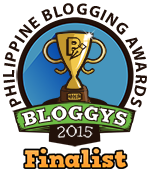 (Thank you Mommy Bloggers Philippines, for the opportunity). When host, Issa Litton asked what propelled him to pursue his studies on gifted education, he answered it with just one word “Veronique”, his daughter, who at grade 2, came home and told him that she was bored; that she didn’t want to go to school anymore; and that she has more important things in life to pursue. He and his wife, went to her school, talked to her teachers and agreed for her to be accelerated to Grade 3, and it was then when he saw his daughter bloomed. I really felt like I was Prof. Gagné that very moment. And that day, I got affirmed that what my husband and I did was the right thing to do. Nature and Nurture goes hand in hand. 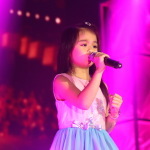 We were entertained by gifted and talented Filipino artists such as 7-year old i-Shine Talent Camp 3’s Grand i-Shiner Telesa de Torres, Gifted child and award-winning violinist and pianist, Ira Aclan and Sage Araneta, 4 year old gifted composer and pianist with the Orchestra of the Filipino Youth. 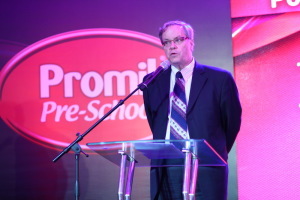 For over 25 years, Promil Pre-School has been an advocate of nurturing Filipino children’s gifts into talent. With the right balance of support from parents, proper care through the right learning environment, and proper nutrition from Promil Pre-School, gifts can be nurtured into exceptional talents that benefit a larger community. Wow, I had a feeling you were raising a gifted son, but now it’s confirmed! Hah!